When painting your own plants, it can sometimes be difficult finding the right color of green. I use several methods for selecting colors. 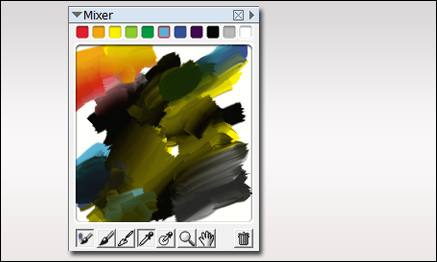 One is to use the mixer palette in Painter. The palette shown below exhibits a whole array of great natural greens, and I never used green in the mix. Most of the greens were established by mixing black and yellow. Then around the edges, I mixed in some cyan and blue. To get some red for flowers, I then mixed in a little red and orange. The additive colors were all chosen from the basic colors shown at the top of the mixer. 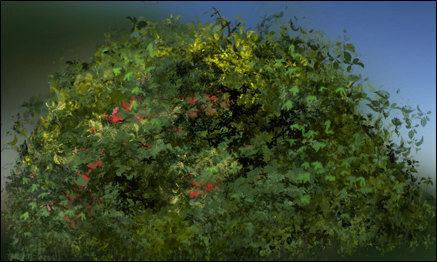 Here is a bush I painted in Photoshop using only the colors from the mixer palette. As you can see, I will often place some background colors behind the plant as I paint just to see how it will display against various background colors in the final painting. The final test is placing it in a few renderings to see if it blends well. If needed, I will make some highlight /shadow adjustments to finish of the plant before placing it in my library. 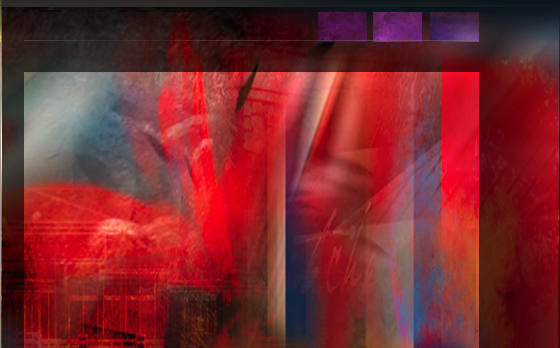 So Adobe has released it’s latest upgrade; Creative Suite 4 is available. As a Master Collection owner, I am looking at a hefty business cost, and I have been researching the benefits. Reading through the “new features” section under each program, there are some good improvements. But not finding the specifics, I have been checking out some of the videos on Adobe TV. With my heavy workload, I do not have tons of time to spend on the web, so maybe everyone has seen this but me, but Adobe TV is a great resource. There are good tutorials and informational videos on all of their software, and setting up the Adobe Media Player gives free access to many videos including television programming and movies. But I digress. The Adobe software I use most often is Photoshop, and to be honest, the new features will not help my daily workflow. I will, however continue to research, and look for that one reason to plunk down my hard earned cash. I will let you know.